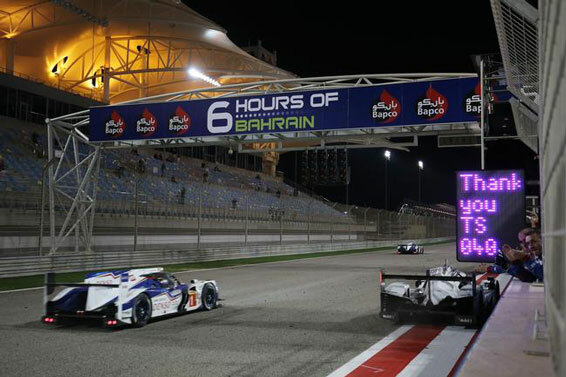 Toyota GAZOO Racing returned to the podium in a thrilling Six Hours of Bahrain on Saturday (21 November), the final round of the 2015 World Endurance Championship. It was an emotional result for Alex Wurz in his last race before retirement for the sport, claiming third place in the No2 TS040 Hybrid he shared with Stéphane Sarrazin and Mike Conway. It was the team’s first top-three finish since the opening round of the season at Silverstone, and Wurz’s 12th for Toyota in 28 races, including five victories. 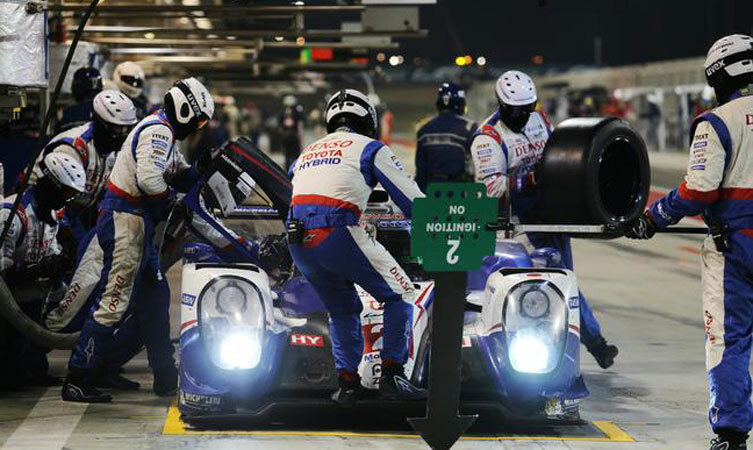 The event proved another reliable race for the TS040 Hybrid and the team profited in the Bahrain heat while some of its rivals encountered problems. 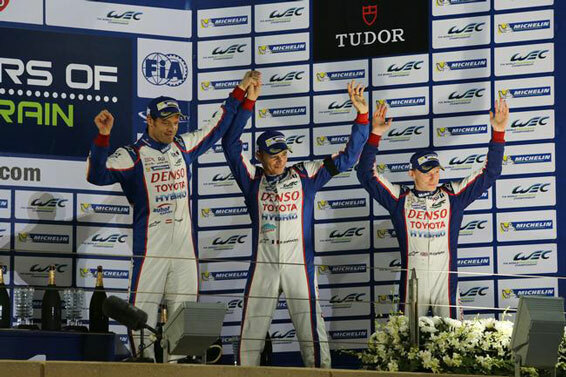 The No1 car of Anthony Davidson, Sébastien Buemi and Kazuki Nakajima finished a strong fourth. The race began in bright sunshine with Sarrazin established the No1 Toyota in fifth, tailed by Wurz in sixth. Both cars moved up a place when the No17 Porsche pitted for nine minutes of repairs half an hour into the race. Drama followed after two-and-a-half hours, when Nakajima’s car made contact with an LMP2 car and required a new front end, dropping his Toyota behind its sister car. As half distance approached, the second-placed No8 Audi needed 15 minutes of repairs which lifted the No2 Toyota into a podium position, followed closely by the fourth-placed No1 car. Despite a busy track and plenty of incidents, both TS040 Hybrids kept up a strong pace, with the No1 putting increasing pressure on its sister car for third as all drivers took their turn fighting for a strong result to end the season. The two Toyotas established themselves in a clear third and fourth, closing out the final two hours with consistent lap times and crossing the line together, separated by only 1.177secs in a race won by the No18 Porsche. The No17 Porsche driving trio of Brendon Hartley, Mark Webber and Timo Bernhard earn the drivers’ World Championship title, succeeding Davidson and Buemi who took the 2014 crown in Bahrain a year ago. Toyota finished the year third in the manufacturers’ World Championship. Anthony and Sébastien are fifth in the drivers’ final standings, on exactly the same points as the No2 crew but placed ahead courtesy of more fourth places. Nakajima was seventh having missed the Spa race due to injury. 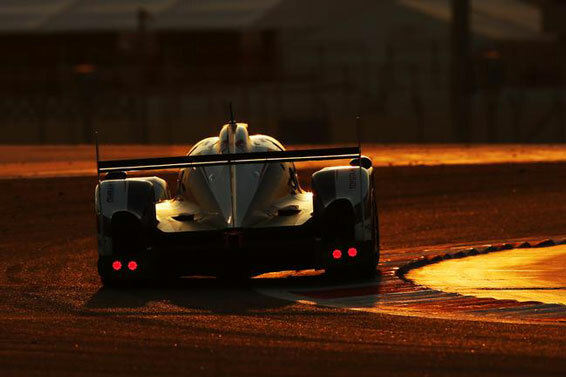 The Bahrain race brought the curtain down on the TS040 Hybrid era. It competed in 16 races over two seasons, with five race wins among 14 podium finishes, most of which came during its double World Championship-winning season in 2014. It will be succeeded by an all-new car for 2016 which will start testing early next year prior to its first public appearance during the Prologue test at Paul Ricard in March.